Part of the oxides of iron was exploited. General view of the peñoncillo, high part. 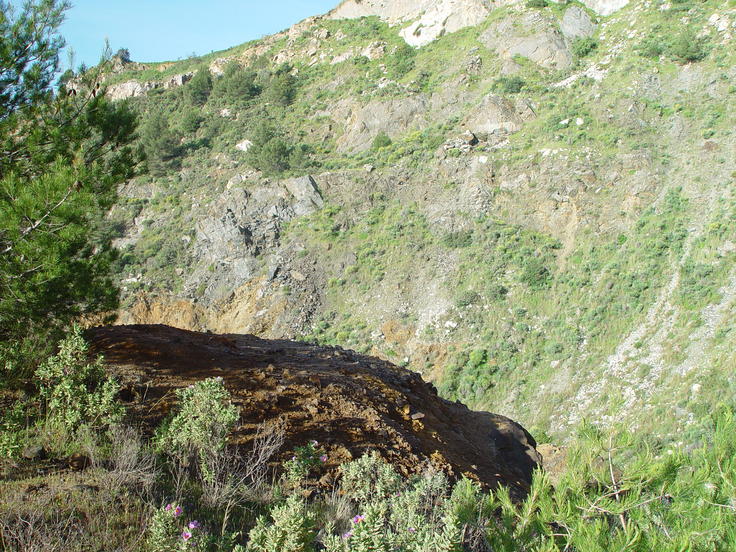 This was the most important iron mine in Malaga province since the foundation of la Concepcion iron mining and steel corporation in early 1826, by Manuel Agustin Heredia, a famous businessman from Spanish society of the middle 19th century. 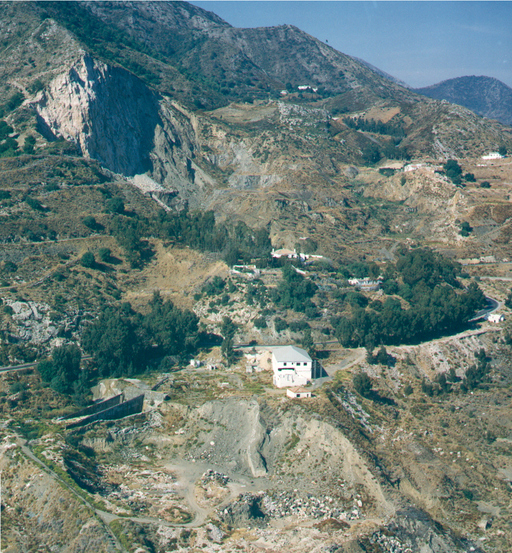 At the beginning of the 20th century (1909) the mine was worked by the English company "The Marbella Iron Ore Company Limited", transporting the mineral ore to the UK. La Concepcion or Peñoncillo mine is a remarkable calcium-magnesium skarn in marble-biotite gneiss-amphibolites "hornfels", and catazone sequences (Blanca Unit), folded and fractured, closely related to the tectonic border with Alpujata massif (alpine lherzolites type-peridotites). 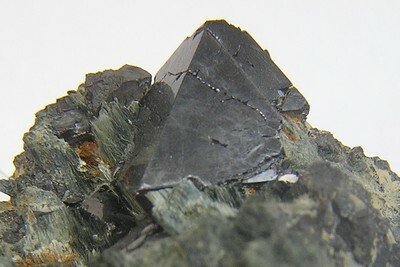 Crystalline gneisses are strongly folded with biotite-pyrite and amphibole. Marbles are granoblastic and banded (white colour), where amphibolites lenses bearing magnetite are interlayered (ortho amphibolite). 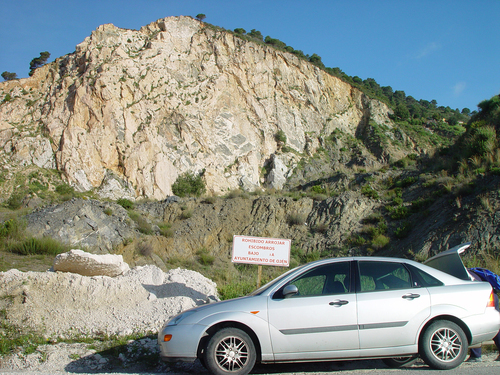 Host rock and iron ores are strongly folded, forming asymmetric syncline. As a result, ores often form wedge-shaped lenses which generated problems in underground explorations. 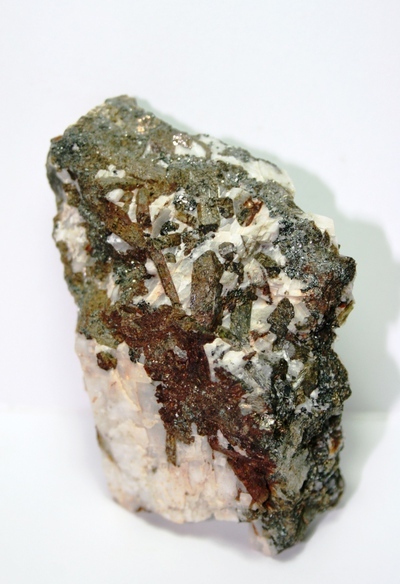 Ores were preferably Pyrite-magnetite refusing Pyrrhotite. 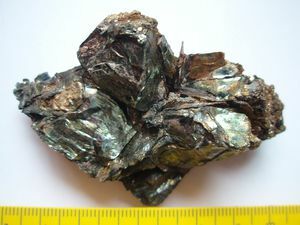 Pyrite and minor chalcopyrite developed later than magnetite ores. Calvo, M. (2009) Minerales y Minas de España. Vol. IV, Óxidos e Hidróxidos. Escuela Técnica Superior de Ingenieros de Minas de Madrid - Fundación Gómez Pardo. 752 pp. Leine, L. (1967) Geology of a magnetite deposit of the Mg-Skarn type near Marbella, Spain. Economic Geology, 62, 926-931. Mollat, H. (1965) Die Geologie der Sierra Blanca and ihrer Umgebung (Westliche Betische Kordilleren). Thesis University of Bonn, 75 pp. Romero Silva, J.C. (2003) Minerales y Rocas de la provincia de Málaga. Edited by CEDMA. Málaga County Council. 318 pp. 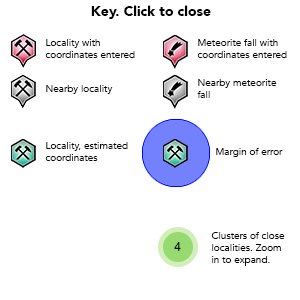 1 map. Calvo, Miguel (2018) Minerales y Minas de España. Vol. IX. Silicatos. Escuela Técnica Superior de Ingenieros de Minas de Madrid. Fundación Gómez Pardo. 767 pp.